A huge online fancy dress retailer has been forced to pull one its Halloween costumes over a large amount of backlash. 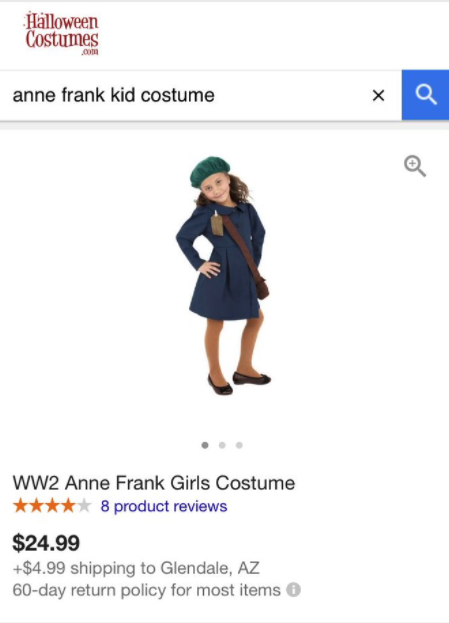 Online retailer HalloweenCostumes.com has withdrawn it's childrens costume that depicts Holocaust victim Anne Frank. 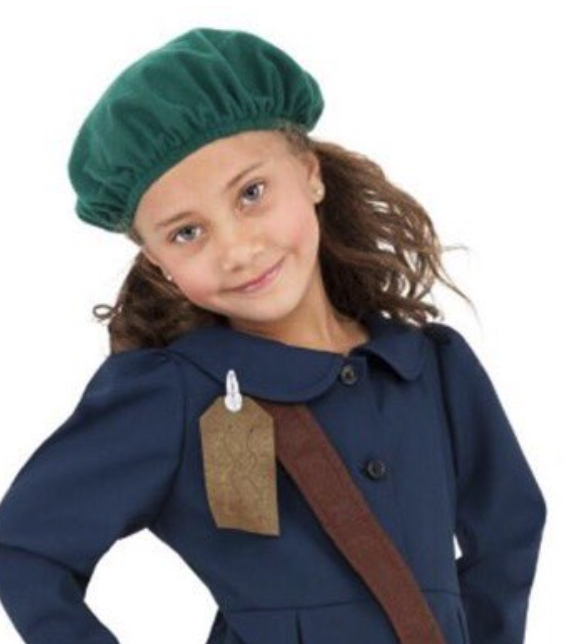 The costume contains the outfit, along with a hat and bag, as well as a tag reminiscent of the labels that Jews were forced to wear upon being deported to death camps. Who the hell thought that was a good idea!? 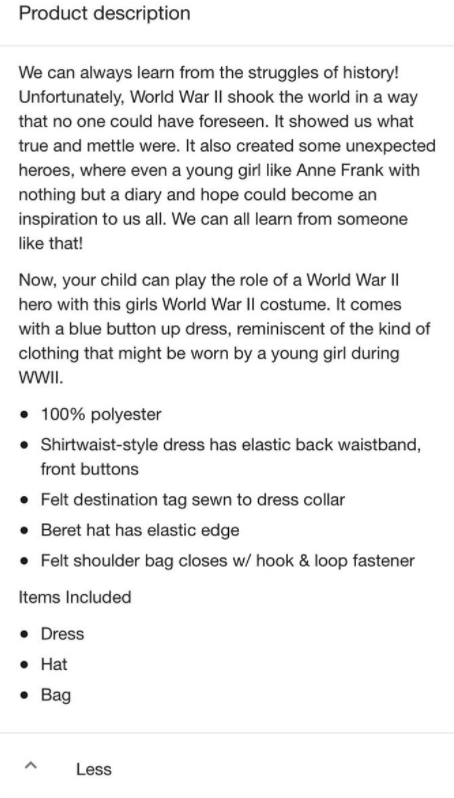 Taking a tragic victim of the Holocaust and making it a Halloween costume for kids!! The costume has since been removed from sale.